*Put your mouse on the image! Taking part in "Asobi-no Wonderland", Yokohama Takashimaya Gallery 8F from 10 to 22 Aug., displaying 7 pieces. 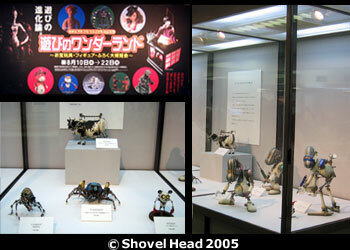 It's a serial show of "Exhibition of Character Figures" in 2004.